Who doesn't love a fun filled family night of classic horror films during Halloween! 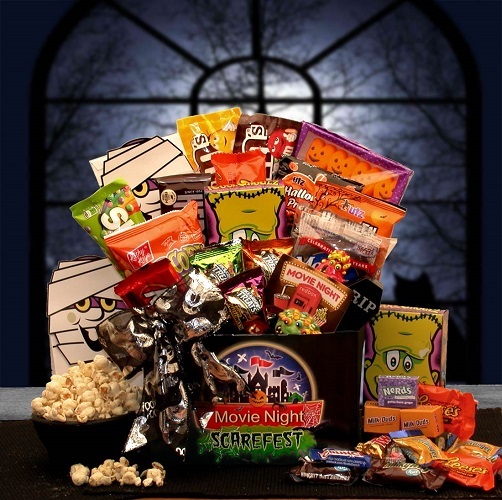 This Halloween Movie night gift box is sure to deliver hours of family fun and enjoyment. Filled with a Redbox gift card and snacks galore this movie gift box is a sure fire Monster of a hit!